Nashville, Tennessee is establishing itself at a swift pace and of course, with that comes a thriving number of newly engaged couples! When you first begin to plan your wedding, one of the first things to start exploring are the various wedding venues in your Metro Area. Somewhere that fits the location and budget you and your fiance are seeking. Some wedding venues in Nashville Tn offer all inclusive packages which is definitely something to keep an eye on! Nashville venues are so timeless because you can get a different array from modern contemporary, rustic, to industrial! There's something for everyone. Your venue is one that you can envision yourself nervously walking down the aisle to, having your first dance at, and exiting at the end of the night to only to look back one last time whether that be the Ryman Auditorium, at any live music venues, the Cannery Ballroom, in East Nashville, the City Winery, Man records, Basement East, or the indoor and outdoor Station Inn. It's that sweet spot where you feel the tiniest bit of emotions start to overtake you in the whole planning process. It's where you will start your newly married life together, and that alone is astonishing. It makes the entire wedding planning process simply, worth it. All of a sudden, the day is here... you sneak a peek at him at the end of the aisle waiting to see you. In that moment it all clicks.. You've found 'The One'. And we aren't just talking about your beau. It's your venue, too. The first step to finding your venue, is to create a list of questions. One's that are clearly important to the both of you: Can they fit X amount of guests? Do they provide uplights? Are there any reservations? Do they fit within our budget? This list can go for awhile, but by organizing your top questions that you can't budge on this will keep you and your beau accountable and it keeps you more informed than other couples. We won't just show you our Top 5 Favorite Venues to work with in the Nashville, TN area, we'll also explain why! And not every reason has to do with Nashville music (although it's a good one). 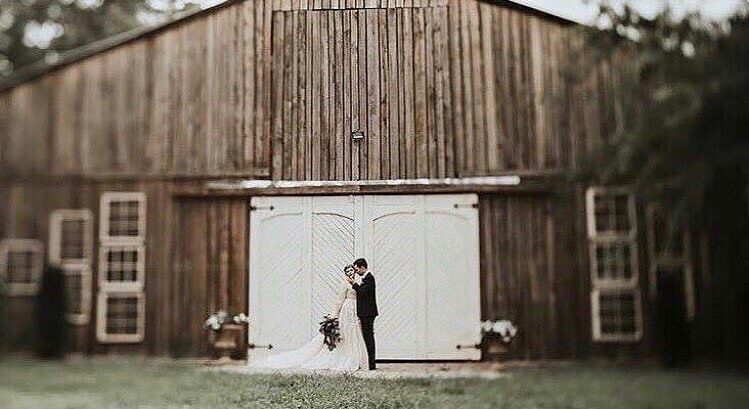 This elegant barn sits on 28 acres in Arrington, TN. They feature a 100 year old Sycamore tree if you love southern charm, a ceremony island (literally) if you want to get married surrounded by water and an open sky, and a 2 story event space that opens to a patio perfect for Summers. They can host 400 guests, with a large ladies lounge and gentlemen's quarters... separate of course. The 8 foot crystal chandelier is so stunning, you can hardly look away. Until you see the bride, that is. 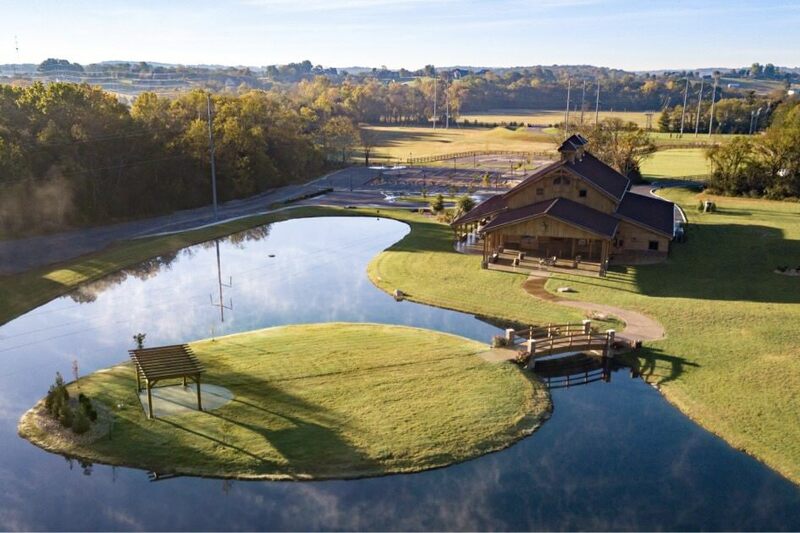 Just outside of downtown Nashville (aka Music City), lies this venue that was built in 1988 for Country Music Superstar Barbara Mandrell. Later in 2010, the doors were opened to the public, and they never looked back. With multiple choices for ceremony and reception, we will highlight a couple. The Mansion is 33,000 sq ft. and used to be the largest home in the United States. It's built from log with antique accents such as a black iron spiral staircase. Worth noting is the pool atrium, with a plexiglass dance floor. You also have The Inn, built as the Southern Living Home in 2013. This Inn is built with your bridal party in mind. Hosting 6 private cottages on the property, everyone has a place to stay. Did I mention the 2,700 sq ft wrap around porch? This venue provides charm and elegance. Definitely worth a tour! 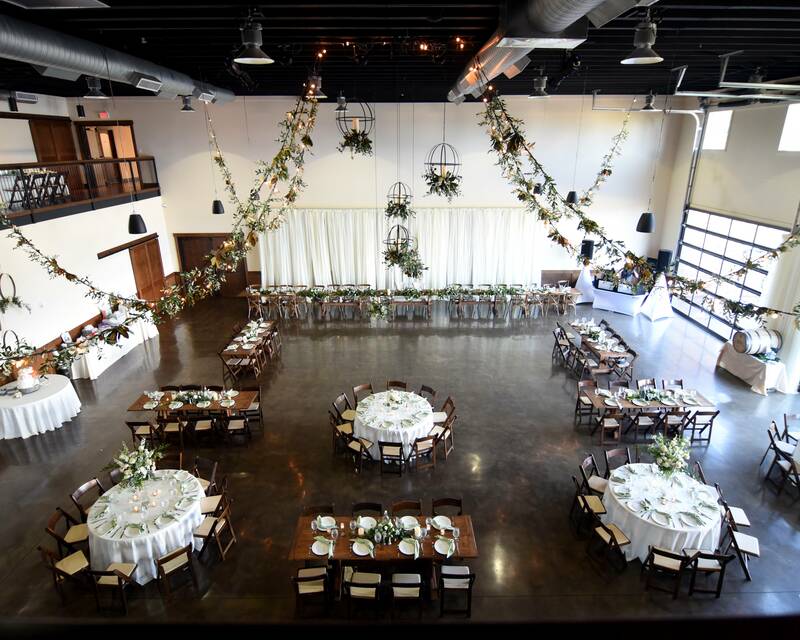 This modern, urban wedding venue Nashville Tn is especially designed for brides loving the industrial look. They offer a large space that includes garage doors, and multi-levels. There is also an outdoor patio space that is romantically lit with bistro lighting. To top it off, you and your new husband can fill a keg of whiskey as a perfect memoir. This space is art deco and features open brick completed with black ironwork. They organically offer elegant and romantic backdrops for the sweetest couples portraits. This might be the venue for you if when I say 'Inclusive' you get excited. 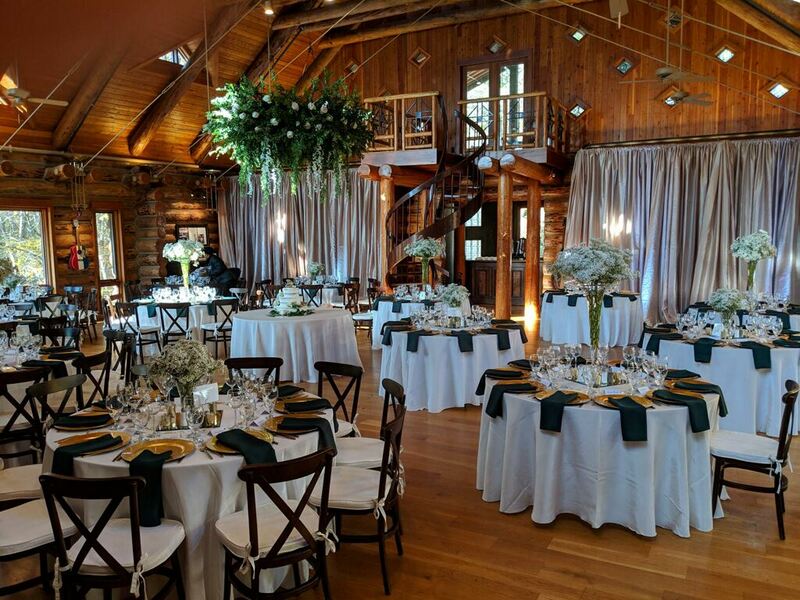 This large event space offers all inclusive packages, including rehearsal dinner, and has 3 different locations based on budget/ how large you're wanting your wedding to be! The Polk Commons which is their newest space, holds 100 guests. The Johnson Hall which is their medium size ballroom just at 4130 sq feet. It can hold up to 250 guests. Lastly, they have the Jackson Ballroom which is 8,101 sq ft. It can hold up to 500 people! They even have Chef Christopher's Catering. This bohemian, 100 year old farm is family owned, built, & operated. They are known for their charmingly hand crafted reception space. Built from scratch, the wooden slats offer the perfect backdrop to a romantic night. The ceremony site sits next to the barn along aged trees, with the most beautiful greenery and wooden pews. It's perfect if you're looking for an impeccable outdoor wedding. Their bridal cottage is known for the sweetest spot for bridal portraits. Did I mention they have a cocktail garden? Nestled into a cove lies bistro tables with a wood & whiskey bar. 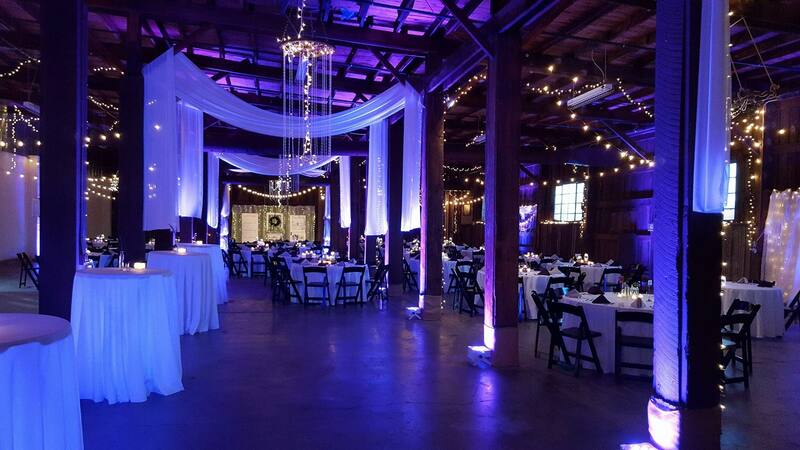 Definitely in the top for outside wedding venues Nashville Tn! We hope this blog helps you find the perfect venue for you and your new fiancee in the Nashville, TN area. We know that wedding planning can get overwhelming, that's why it's our promise to help every step of the way! If you're also in need of a DJ, feel free to get a quote here.Connect with us on Facebook and Instagram to find quick information and insights on our wedding DJ services.